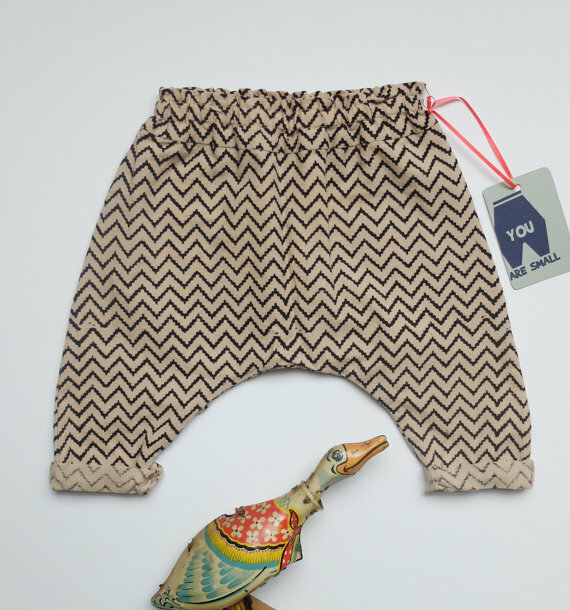 I'm Hannah Whitham and about a year ago (in a bit of a sleepless blur) I set up You Are Small – an independent clothing label for babies and toddlers. I currently live in Sydenham with my partner and 21-month-old daughter, Maud. I come from a fine-art background and after seven years working with textiles for film and television productions as well as freelancing as a costume designer/maker for opera productions, I found myself at home as a full-time mum. Needless to say, the reality came as something of a shock. What is your You Are Small and why did you set it up? I would say that You Are Small has grown from my love of textiles. I've always had a passion for pattern and colour and had an inherent need to create with my hands. I consider myself privileged to have been brought up in a wonderfully creative environment. 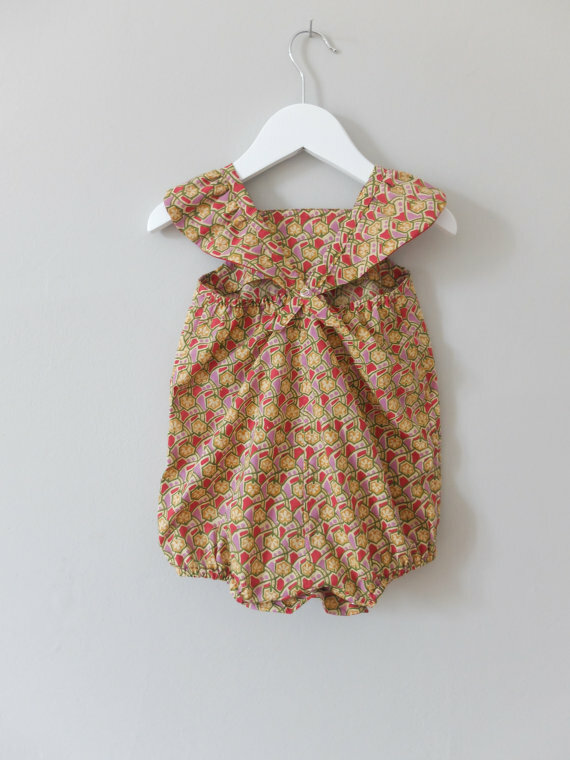 Before Maud was born my mum gave me a number of dresses she had made for me as a baby – things that weren't thrown away but were saved and passed on. 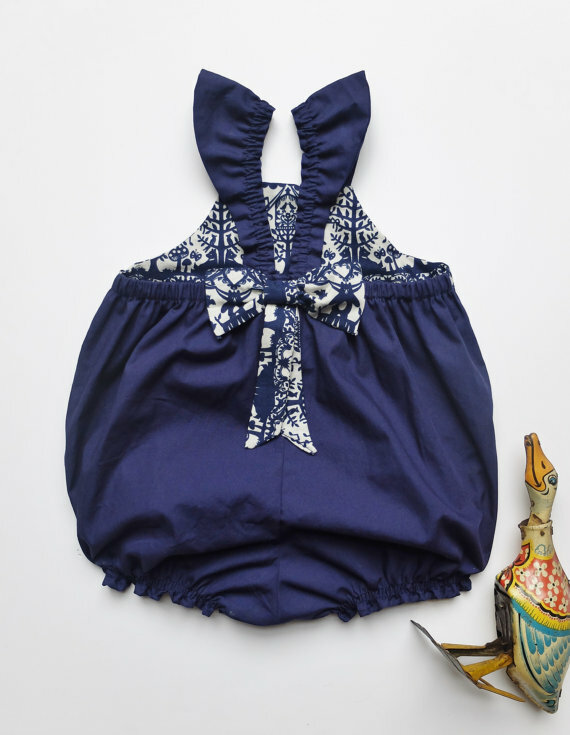 These little clothes, which had time and skill and love sewn into them, held such resonance that I felt inspired to make things for Maud. I decided that I wanted to make Maud clothes in fabrics and colours that aren't typical for children's clothing. I got lots of compliments on her clothes (not mine, I was probably in jeans and a T-shirt!) and after a few friends bought things I'd made I decided to set up You Are Small. I now sell my handmade clothes and hand-dyed tights through Etsy. I struggle daily with being a full-time stay-at-home mum and trying to run a small business. I used to feel frustrated and, to be honest, a bit resentful that I couldn't carry on working. However, as Maud gets older and a little more independent I am learning to put my feelings in place and balance my time with her and my other work. It's incredibly hard to put your creative drive in the backseat and I, like so many other mums, feel that I should be able to do it all. The pressures to do more and more, both within work and as a mum, are huge, but as time goes on my idea of "having it all" is changing. I would (and I should take my own advice here) give myself more time to achieve my goals. Stop rushing. I believe that if you have a natural drive to do something then when the time is right, it will happen. Right now I am enjoying watching Maud grow up and like the fact that my daughter is seeing me make things, no matter how small. This is important to me. My environment has always been important to me and I love living in south-east London. The sense of community here is so strong and I've made some wonderful friends at local music and play groups. It makes the times when you feel fed up and isolated as a mum much easier to bare. Sharing a knowing glance with another tired-looking mum on Sydenham High Street saves me sometimes! Can you share one secret tip with other local mamas? I am lucky living opposite Alexandra Recreational ground. Its a great space and there is a kids' paddling pool, which is such a wonderful local resource. It's really lively in the summer. And Alexandra Nurseries is just around the corner, so there is a peaceful retreat, too. I also hear on the grapevine that the pub opposite is soon to be taken over by Late Knights Brewery - I'm pretty pleased about that. You can find Hannah at her Etsy shop and on her Instagram and Facebook Page. She is kindly offering a 15% discount with the code MAMAHOOD until 31st August 2015.